There are many benefits to undergoing orthodontic work. Aligning your teeth can often improve your bite and jaw profile, while making cleaning and oral hygiene easier to maintain. For many, orthodontic treatments simply give you the confidence to smile. Dr Hardip Dhatt is our Principal Dentist and our lead cosmetic orthodontic dentist. Orthodontic treatment is incredibly specialised and can vary greatly according to different cases. As a result, all of our treatment plans are tailored to individual needs and patient expectations. Invisible braces are a popular choice and Dr Dhatt has seen some amazing results with clear braces and aligners such as Invisalign, Six Month Smiles and Inman Aligners. 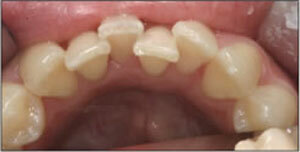 We also provide traditional bonded braces too, where clear alternatives aren’t appropriate. I want to straighten my teeth. Where do I begin? If you give us a ring on 01425 473938, we can book you in for a free consultation. Here we’ll discuss what exactly you’d like to achieve and draw up a treatment plan. We’ll take some impressions and scans too. I had orthodontic treatment as a young person, but my teeth have since moved. Can you help? 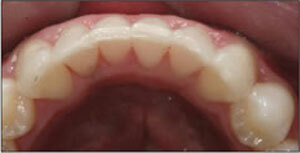 Depending on the nature of your movement, some adult relapse cases can be fixed with an Inman Aligner. This is a simple, quick and effective option that can take as little as two to six months. Of course like all our dentistry, your treatment will be determined according to your individual case. What about once I’ve finished my treatment? Teeth do have a memory; so in order to maintain your newly aligned smile we highly recommend some form of post treatment retention. We can fix a bonded retainer wire to the back of your teeth and at night it is recommended that you wear removable clear braces to prevent relapse. Which ever option you choose, post treatment retention is free of charge. Orthodontics are highly individualised and therefore vary from case to case. And of course, we want to achieve the very best results, so treatment time can range from several months to several years. Can I get orthodontic treatment on the NHS? There is very little cosmetic dentistry and orthodontic options available on the NHS. It’s best to book in for a free consultation, where we can advise what’s best for you. The Ringwood Dental practice is based in the Southampton and Bournemouth area and provides orthodontic services for those in the neighbouring Poole, Salisbury, Christchurch, Fordingbridge, Verwood, Lymington and Lyndhurst areas.